WiFiKill Apk Pro [v2.3.2] For Android: This is the best network controlling application available for the Android as well as PC Windows. If you are using the WiFi network, then this WiFi network will restrict the other internet connections of other devices. This is an advantageous feature available for all the WiFi users. With the help of this tool, you can create a bandwidth to yourself by removing other people from the mutual internet connection. To use this WiFiKill app on Android device, you need a root access. This mainly designed for the Android Smartphones users who use the WiFi internet connection. WiFiKill occupies different Place in the hacking category. This WiFi Killer acts as a Hacker, and by using this, you can know the people who are using the WiFi connection, and who are using the WiFi in the WiFi modem. And you can disable your WiFi connections to others who are using your internet connection. By doing this, the internet speed will be increased, and it does not waste your bandwidth. If you want to know more information about this WiFiKill Apk Pro [v2.3.2] For Android, then you have to read this entire page. 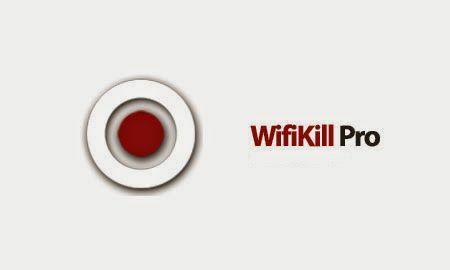 If you want a faster internet connection to your Android and PC device, then you need to use WiFiKill Apk Pro [v2.3.2]. WiFiKill App is the best solution for the users who are suffering from the slow internet connection. By using this aa, you can easily find the users who are using your WiFi internet connection. And you can save your bandwidth by disconnecting your Intenet connection to your WIFi users. This application many designed for the sake of the WiFi users. And in the below section, I have given the downloading steps of this WiFiKill Apk Pro [v2.3.2] For Android Operating System and PC Windows. And to download this app on Android device then you need to root your smartphones. By using this WiFiKill app, you can use high-speed internet connection. And you can disable the others WiFi connection who are using your WiFi with a just single click. Below are the features of the WiFiKill app. After downloading the WiFiKill app, it scans your WiFi connection and then lists you the connected devices which device has connected with your Internet connection. Grab and Kill are the two main functions of this WiFiKill application. WiFi Grab – This is the rare features now available for your smartphones. It verifies and displays the devices with their Manufacture Name, IP Address, Mac Address, Up and down Speeds. WiFi Kill – This features easily kills the others WiFi internet connection of other people who are using your network. This WiFiKill app works on the Tablets also. To use this WiFiKill Apk Pro [v2.3.2] For Android, You need an Android 4.0 version or more than that. Step -1: First, you have to go to the official website and then download the WiFiKill Apk. Step -2: To install this you need to enable the unknown sources option which is available in the settings. In Step -3: There you will find some related apps, select the app which you want to download. Step -4: Then download that Apk file and then double click on that to Install the app. (To install this application you need a rooted Android device. You can use this app on unrooted device). In Step -5: After installing the app, you can directly use this application on your device. Step -6: That’s it. You have done. First, you have to open the WIFiKill application on your device. Then you need to click on the play button. Then it will ask you to Grant the root permissions or Delay. And now you need to click on the Grant Permission. And then it will show you the list of connected devices on the screen. Now click on the Grab All to attach all the devices. And by clicking on the Kill button, you can kill all the other devices who are using your Network.